Kem Krest knows that our culture shapes the ethics of our organization. Our people are enthusiastic, honest, driven and passionate. It’s these values that determine our success. We are determined to do whatever we can, whenever we can and for whomever we can. To be a respected leader of innovative solutions in all we do. To foster our entrepreneurial spirit and remain stewards to our customers, coworkers and community. Integrity, Commitment, Passion, Transparency, Financial Prudence, Impact, Respect, Continuous Improvement. As a team we pledge to be customer focused, solutions driven. Our workplace embraces fun and celebrates achievement. We invest in people. We employ those that share our passion, mission and work to enrich our business model. We understand that each member of the team is a representative of our organization. We foster an environment that allows for expression of ideas and creativity. We serve our communities and manage our organization through the principles of servant leadership. We maintain a “Customer First / Associate First” philosophy. Kem Krest’s employees are the most important asset to our company. We understand the importance of providing a prosperous work environment but are also dedicated to contribute to their personal development. 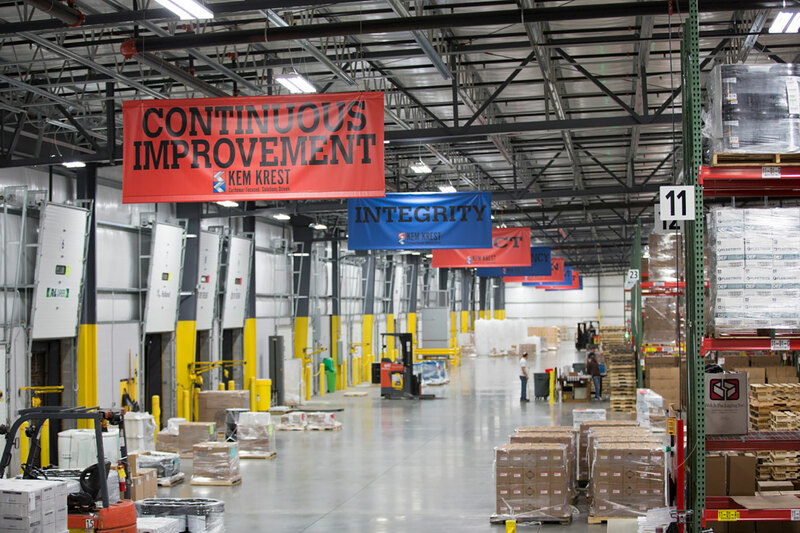 Kem Krest has developed customer focus teams that are comprised of cross-functional team members from the floor through executive management working directly with your program. These teams huddle weekly to discuss roadblocks, successes and propose ideas to better the program.